X-Yachts has long been one of my favorite production boatbuilders, for the simple reason that the company consistently builds great boats, and the Xp44 is no exception. This is a company that never cuts corners. 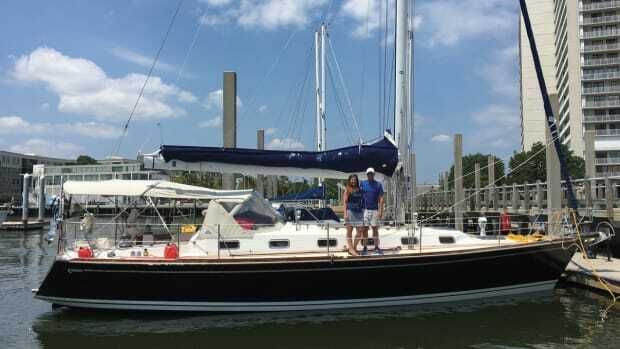 The result is a boat that looks great, feels good and sails well. 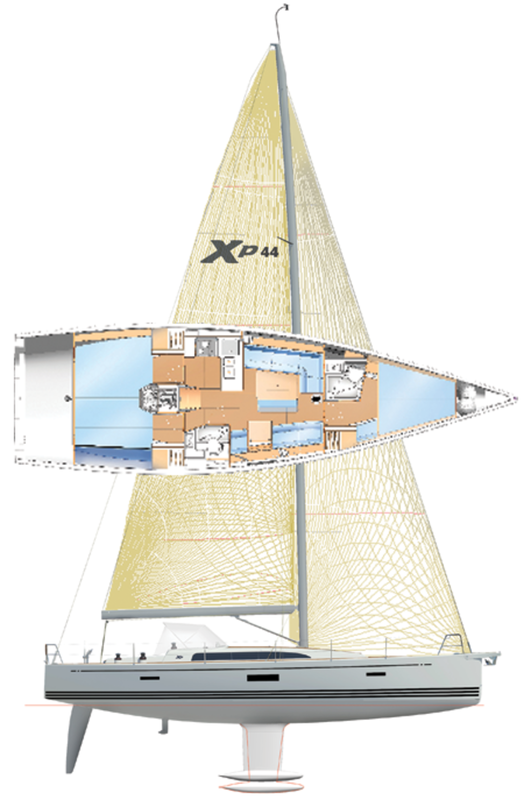 Underpinning everything else aboard the Xp44 is a carbon-fiber hull grid and keel structure, which both supports the rig and anchors the keel in the event of a hard grounding. An evolution of the steel grids that X-Yachts has been installing in its boats since the early 1980s, the fact that the grid is now made of carbon saves nearly 900lb in weight. The entire hull is vacuum-infused in E-glass and post-cured epoxy, with a Corecell M-Foam core. 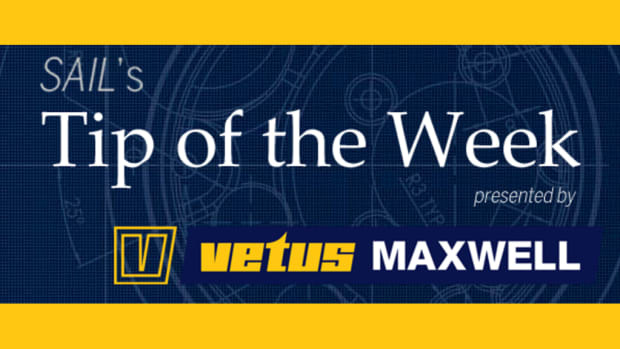 The high-aspect rudder is mounted on an aluminum stock, and the standard 7ft 6in-deep keel is cast iron with a lead bulb in the interest of lowering the boat’s center of gravity and maximizing sail-carrying capacity. 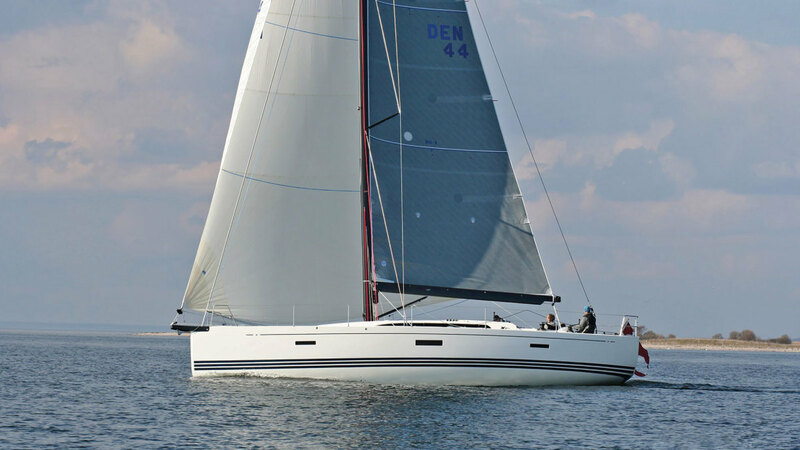 A deeper high-performance keel drawing 8ft 8in is also available. Carbon-fiber chainplates save weight and further lower the CG, and much of the boat’s cabinetry is built using structural composites and then securely epoxied to the inside of the hull along with a liner to maximize stiffness. A pair of watertight bulkheads separates the anchor compartment and sail locker forward to provide an extra measure of security in the event of a collision at sea. The standard rig features a John Mast aluminum mast with two pairs of swept-back spreaders and discontinuous rod rigging. A carbon Southern Spars rig, carrying an additional 50ft2 of sail, is also available, as are a number of different bow options. These range from a carbon racing sprit to a utility sprit that doubles as both an anchor roller and a tack point for a downwind A-sail. You can also specify a simple cowl over a shorter integrated anchor fitting, although I shudder to think how easy it will be to ding the nearly plumb stem when weighing the hook with this arrangement. Workmanship throughout is nothing less than exquisite. Even the through-hull fittings are mounted flush against the exterior of the hull to make it as slippery as possible. There’s nothing like having 44 feet of LOA to play with and no pressure to maximize accommodations or lounging space when creating a deck layout. Not that there isn’t room to get comfortable aboard the Xp44. It’s just all been put to good purpose. The long cockpit benches, for example, strike a fine balance between offering plenty of room to stretch out on and providing a sufficient working area for racing crew. 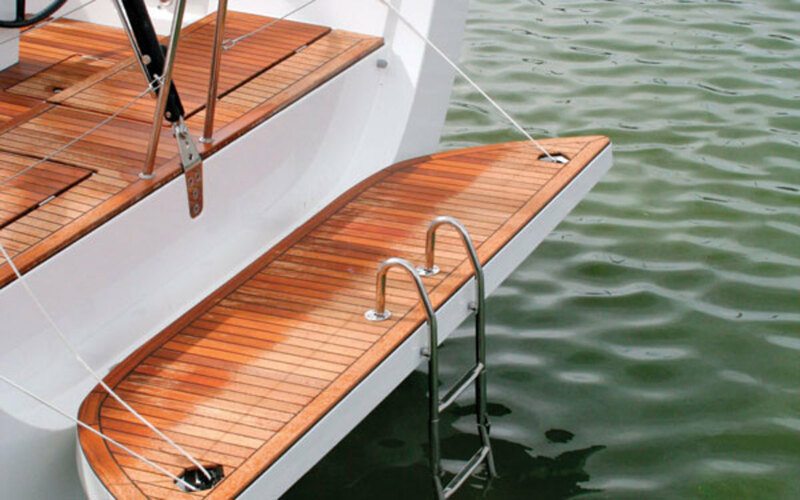 An optional folding transom provides security underway as well as a small but functional swim step (complete with removable swim ladder) when you’re on the hook. The twin composite helms have a pair of adjustable foot chocks for long tricks at the wheel, and a number of different pedestal options are available, ranging from an instrument-free flush top (for racers who will be looking to a mast-mounted display for their sailing data) to a large multifunction display mount with grab rail. 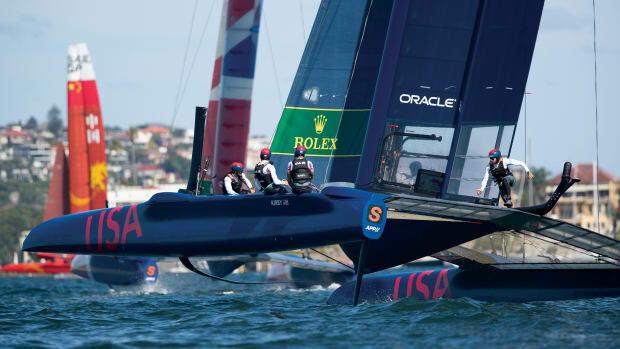 The boat comes with a neat foldaway cockpit table that stows under the sole or can be left on the dock when racing. The Harken primaries are well within reach of the helm for tweaking the main when steering to windward. The rest of the deck hardware is a combination of Harken and Ronstan, with Spinlock clutches to either side of the companionway. Wide side decks stretch all the way from stem to stern, providing an excellent work space for crews when racing or docking, and the German mainsheet system runs to a recessed athwartships traveler directly in front the helm, exactly as it should—providing a Panglossian combination of effective mainsail control without the danger of any stubbed toes. Flush-deck hatches and a recessed Harken headsail furler add to the boat’s sleek lines, as do its super-cool folding Nomen mooring cleats. Finally, there’s one of my favorite features aboard the current generation of performance-oriented X-boats: a low, wide bulwark that provides an extra measure of security going forward, but won’t cut off the circulation to your crew’s legs when they’re on rail-meat duty. 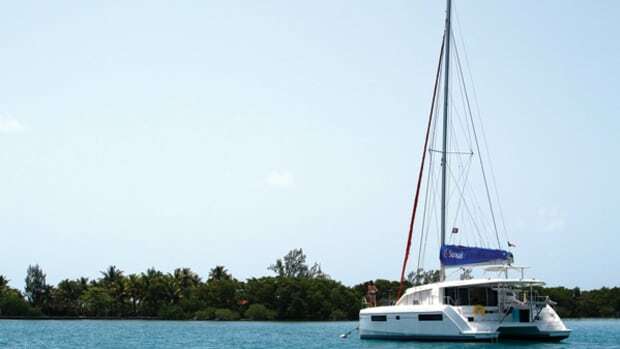 The basic arrangement belowdecks is one we’ve all seen before: a V-berth cabin and ensuite head forward, twin quarterberths aft with a second head to starboard of the companionway, an L-shaped galley with a Eno stove and long, straight settees in the saloon that will double as excellent sea berths. The reason we see this layout so often is because it works. Headroom is 6ft 6in. Where the accommodations stand out is in the quality of their execution. 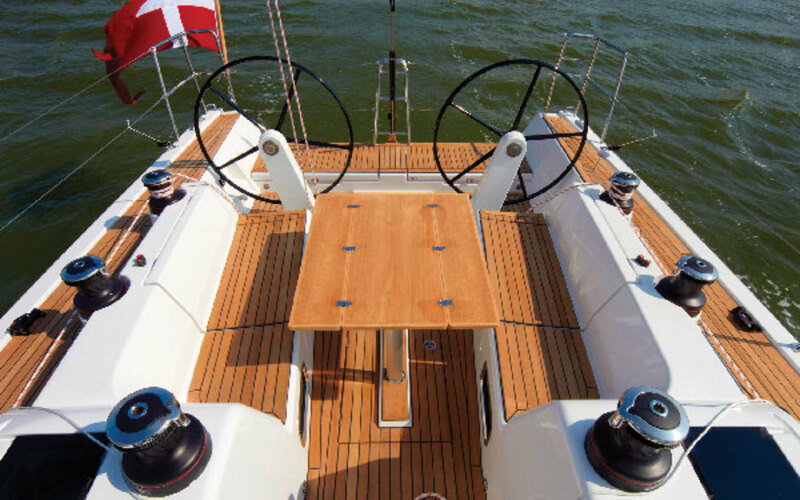 Custom stainless steel fittings, teak trim and workmanship that is second to none make for a truly magnificent yacht belowdecks. Bench heights and lengths, galley counter size and the head proportions all serve as further evidence this design team knows its stuff. Nice details include a sliding nav station that can be easily moved out of the way to create an open settee, and a saloon table that can be completely removed when racing and includes a concealed bottle storage compartment. 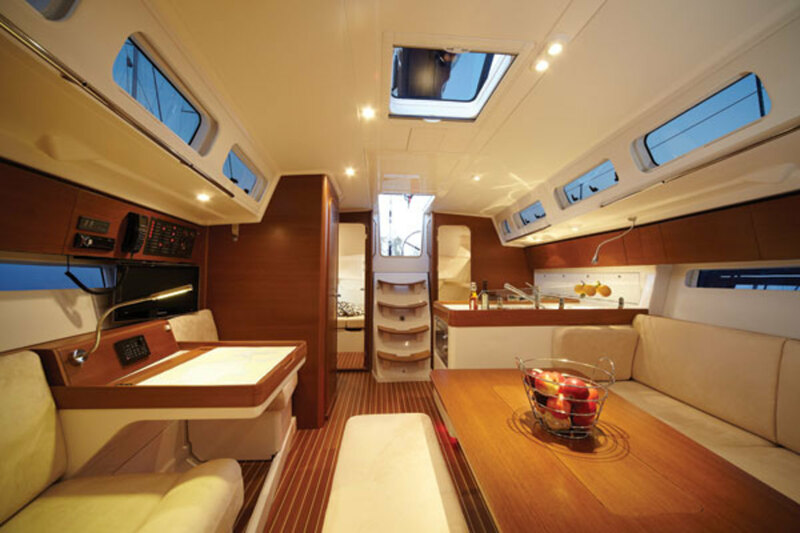 Our test boat’s interior featured a combination of white composite cabinetry and teak trim. A number of other combinations are available, including those with full-on teak (could be a bit on the dark side) and/or Corian countertops. Be warned, the teak galley fiddles are great; the Corian ones, not so much. If your taste in sailboat interiors tends toward those that look like swank hotel lobbies and try to convince you that you’re not aboard a boat, the Xp44 may not be for you. 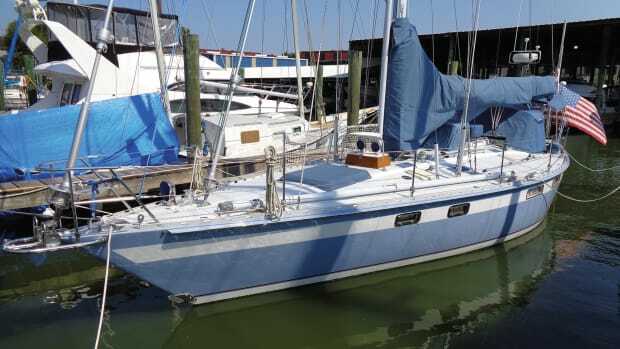 But if you don’t mind taking a few steps down into the saloon and enjoy the feeling of actually being aboard a boat when you go sailing, it would be hard to beat this boat’s elegant, functional finish. Big boats with big rigs mean power: always have, always will. The most impressive thing about the best new modern designs, though, is how nimble they are, and the Xp44 is no exception.  Scooting around on Chesapeake Bay in a picture-perfect 10-12 knots with Bob Rodgers of Rodgers Yacht Sales, it felt like we were sailing an oversized dinghy. I used to work harder daysailing my old Lighting. Sailing on a close reach at 8 knots required just the lightest fingertip steering. Hardening up to a 40-degree true wind angle, our speed held at just over 7 knots, still steering with just my fingertips and barely having to move the wheel as we played the puffs and shifts. Balance was perfect, with just a bit of weather helm to keep me in touch with that nice, big high-aspect blade rudder beneath the hull. Tacking was simple, with the boat’s 106 percent headsail coming across and sheeting in without a fuss. Aboard a boat like this, if you have to resort to grinding, you ain’t doing it right. The helm stations are also just right, whether you’re sitting outboard watching the telltales, or standing with your feet on the chocks or on the sole. Even under working sail alone, the boat held onto a good 7 knots on a deep broad reach. This is one of those boats aboard which the sailing is almost too easy. I really do think I should arrange another follow-up sail trial to, say, Bermuda. Aboard a boat that sails as well as the Xp44, who cares? OK, fine then: it did great. The combination of the saildrive and folding prop on our test boat, not to mention that great rudder, made it easy to spin the boat around in both forward and reverse. 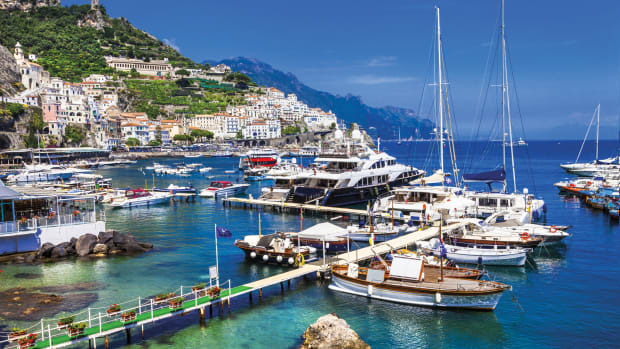 A retractable bow thruster is available as an option, but not really necessary. Of course, if you plan on keeping your Xp44 in a particularly tight marina or doing a lot of docking stern-to, it might be worth the extra expense and weight. The 40hp Yanmar engine easily shoved us along into a slight headwind at 5.3 knots turning over at 2,000 rpm. I loved everything about the Xp44. 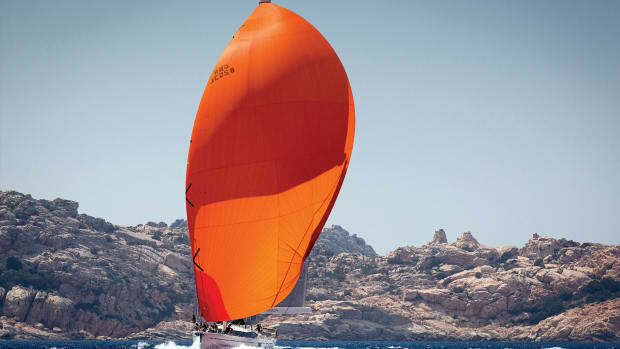 In a world filled with an increasing variety of sailboats, catering to an increasing variety of tastes—all of which I both respect and appreciate—it’s always good to see a design of this quality that has the guts and dedication to simply provide the best in pure sailing. U.S. DISTRIBUTOR X-Yachts USA, Noank, CT.